A Bristol, Virginia man has been charged with reckless driving after he allegedly hit two pedestrians who were attempting to cross a busy Bristol street. Additional charges could be placed against 26 year old Blake Aaron Hobbs, depending on the investigation and the victim’s condition, which is unknown at this time. 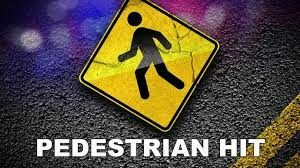 The two females were struck by Hobb’s car Monday night as they tried to cross at the intersection of Euclid and 19th Street.